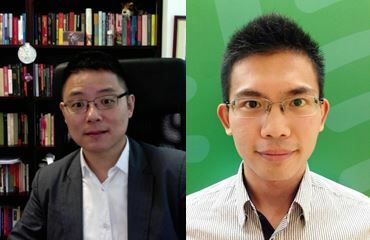 Xiaojun Yan and Ge Xin from the University of Hong Kong, discuss civic engagement in non-democratic states – the theme of their article now available on fast-track. History may come to define the current UK coalition Government as the government that ushered in the end of the welfare state as we know it. The government that forced through a fundamental reconfiguration of the relationship between the citizen and the state. It may well turn out that the British population like the principle of firm action to address the state’s fiscal problems rather more than they like the practice. That story is yet to play out fully. A more positive aspect of the current political agenda is the emphasis upon localism and involvement. The government aims to move power out of Whitehall and down to localities, giving local elected representatives and communities more scope to determine their own future. The two parties that comprise the current Con-Dem government may value this policy direction for different reasons. Are we talking about a vision of state withdrawal and survival of the fittest? Or a more positive vision of enhancing social cohesion and commonality of purpose in the more fragmented and networked Big Society? It is difficult to identify a consistent narrative. But the parties’ interests intersect and we are expecting Localism bill to be laid before Parliament next month. While greater local autonomy and accountability in decision making is laudable, it is not without problems. What are the practicalities of delivering on this agenda? Is it another case of something that many feel is fine in theory but less palatable in practice? Much has been written about participation and deliberation in policy making. Much has been written about the challenges facing those seeking make it a reality. The news is, generally, not encouraging. This is well-trodden ground. One aspect of the issue which requires greater exploration is how changing structures of governance interact with mechanisms to enhance participation and local deliberation. In a paper in Policy & Politics Robert Hoppe addresses precisely this question. 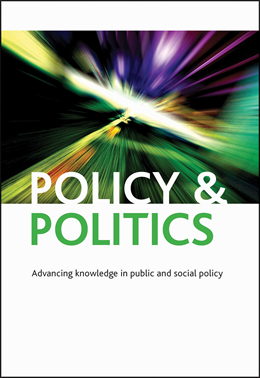 The paper aims to provide some theoretical reflections on the links between policy problems, the structure of policy networks and appropriate mechanisms for deliberation. It focuses on the practical ‘perplexities’ and dilemmas in running deliberative projects, highlight problems at each of the input, throughput and output/outcome stages. Equally importantly in the current context, the author pinpoints power – or the ‘ironies of real power politics’ – as at the heart of the issue. Participation mandated from the centre runs the risk of simply being seen as a supplement to existing processes, without significantly altering the locus of control. While deliberation from the bottom -up runs the risk of colliding with the self-identity of those at the centre who see themselves as having the legitimacy to make the decisions. The author holds out some hope that governance structures can be nudged in the direction of accommodating the views of a wider range of stakeholder and citizens. But there remains a tension between peaceful, collective “puzzling” over what do to and the ‘competitive and potentially violent mode of political interaction’ that is “powering”. A timely reminder of the complexity of the challenges in realising the potential of deliberation – and a suggestion that some of the more far-reaching aspirations for deliberation may be over-reaching in the face of the unavoidable subtle, and not so subtle, uses of power. Hoppe, R. (2010) Institutional constraints and practical problems in deliberative and participatory policy making, Policy & Politics.